Lucius Ceionius Commodus, later known as Lucius Aurelius Verus, was the son of Aelius Caesar . 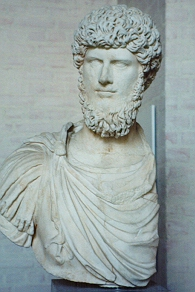 Following his father’s death in 138 AD, Lucius was adopted by Antoninus Pius. 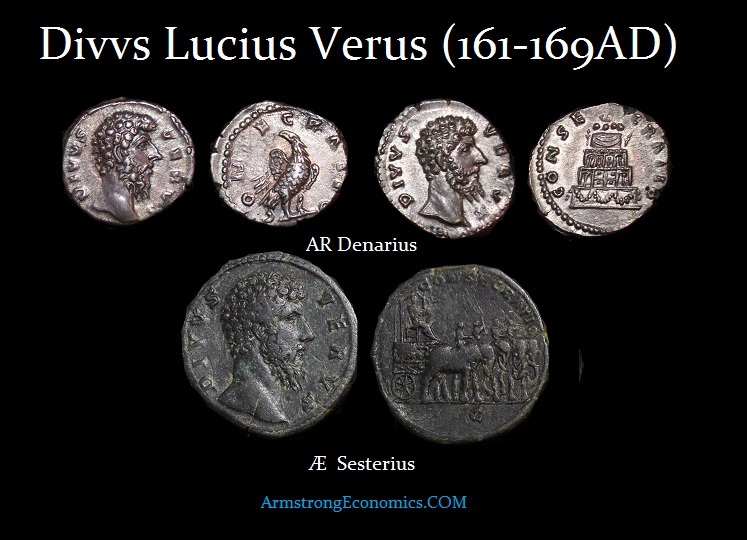 However, unlike his stepbrother, Marcus Aurelius, who was adopted at the same time, Lucius Verus was not raised to the rank of Caesar. 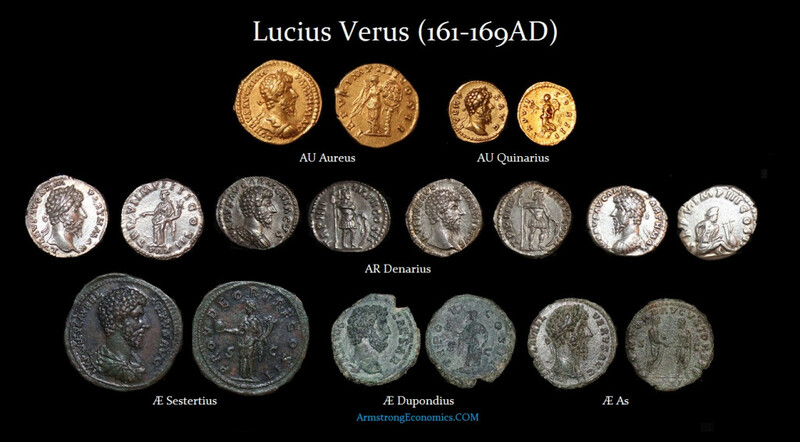 Still, on the accession of Marcus Aurelius in 161 AD, Verus was immediately made Co-Emperor by Marcus. Verus was indeed a loyal man. He followed the orders of Marcus Aurelius as any soldier would his commander. Lucius never once seems to have engaged in intrigue but was content to share the throne with his adoptive brother Marcus Aurelius. A serious confrontation broke out in the East. Verus was sent to subdue the Parthian uprising. Lucius arrived in Syria in 162 AD. He returned to Rome where a splendid triumph was afforded him – the first in nearly 50 years. Lucius insisted upon sharing the triumph with Marcus despite the fact that he had not ventured out to the East. In 166 or 167 AD, the German hoards attacked on the northern frontier. Marcus and Lucius left Rome together to confront this new threat in the spring of 168 AD. By the time they arrived, the local Roman Legions had already forced the German invaders into full retreat. Upon their return to Rome, Verus suffered a stroke in 169 AD. He was unable to speak. He died three days later. His body was carried back to Rome and laid to rest inside Hadrian’s mausoleum where he joined the bodies of his father Aelius Caesar and Antoninianus Pius.